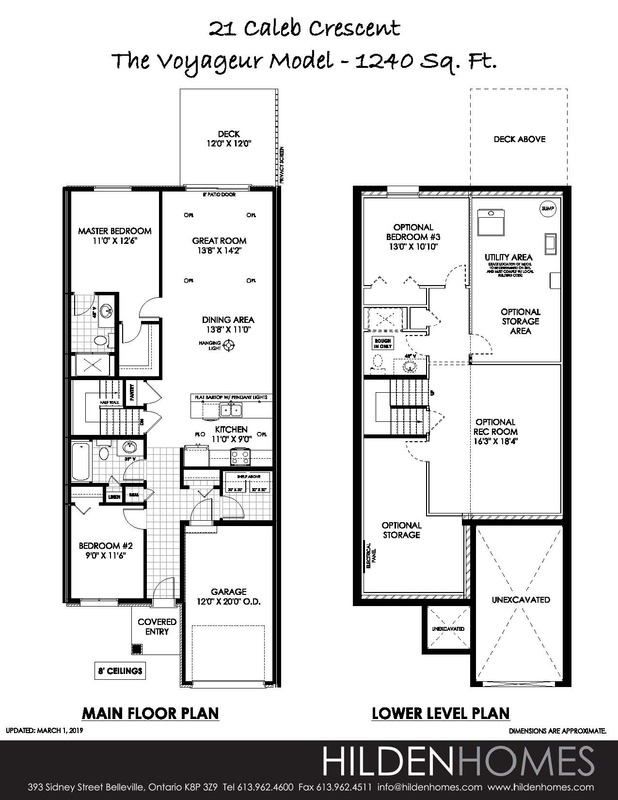 The Voyageur Model is a narrow bungalow style, freehold middle unit townhome. The home has a charming covered front entry. The front door opens into a spacious entry foyer. 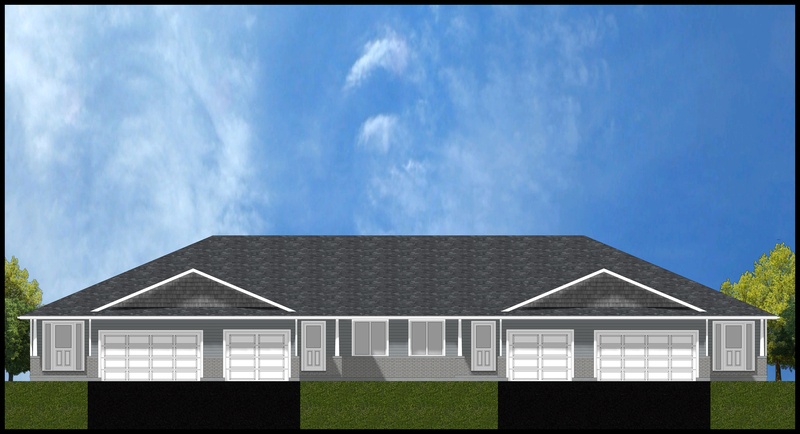 The second bedroom is situated to the side and overlooks the front yard. The main level laundry is tucked in behind the garage with the entry closet, and direct access to the garage. The main bathroom is across the hall and next to the second bedroom. The stairs are situated right beside the main bath, as is a pantry closet. Across the hall is the galley style kitchen which features a large peninsula with a flat bartop, providing ample countertop space. The dining area is as wide as the great room, offering an opportunity for many furniture layouts. A grand patio door off of the great room leads to a rear deck with a privacy screen from the neighbouring deck. The spacious master suite entrance is situated between the dining area and great room. The master suite features a large walk-in closet and a private ensuite. The lower level remains unfinished.